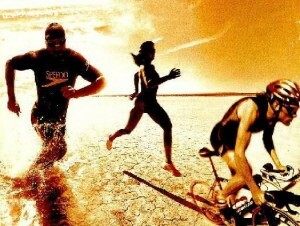 As a Triathlete, I often think about how other situations, whether personal or business, can be compared to Triathlons. I started thinking about how Digital Marketing can be a multiple-stage competition like a triathlon. When I look at Digital Marketing, I break it down into three different disciplines or stages. The traditional order of events is Swim, Bike, and Run. In Digital Marketing it becomes Content Creation, Conversion, and Measurement (Performance Reporting). Swimming a few hundred yards may not seem too daunting, but when you add in a lake with a couple of hundred other people it does. Creating content is not as easy as it sounds. Creating captivating content takes planning and time. Read more about what it takes to create meaningful and relevant content here. A bike isn’t going to pedal itself; you need to get the process starting and put in the work, much like nurturing a lead to becoming a sale. So now you have your content created. The next step is trying to convert people to leads? Conversion isn’t a always quick and easy process. Most of the time it takes multiple interactions with a prospect to push them through the funnel and complete a sale. Read more about conversion here. Now that you have created the content (swim) and converted some leads (bike), it is important to continually analyze and measure your results. In a triathlon this the point where you look back at your race so far and gauge how hard you can push the run. Using analytics and performance reports you can help increase your conversion rates, thus increasing your leads. I’m not sure if it was the chlorine getting to my brain or what, but as I was doing my swim workout last evening this starting coming to me. I must note that swimming back in forth in a small pool gives a person a lot time to think about things like this.